MONTHLY photos contributed by our members for November - 2016. 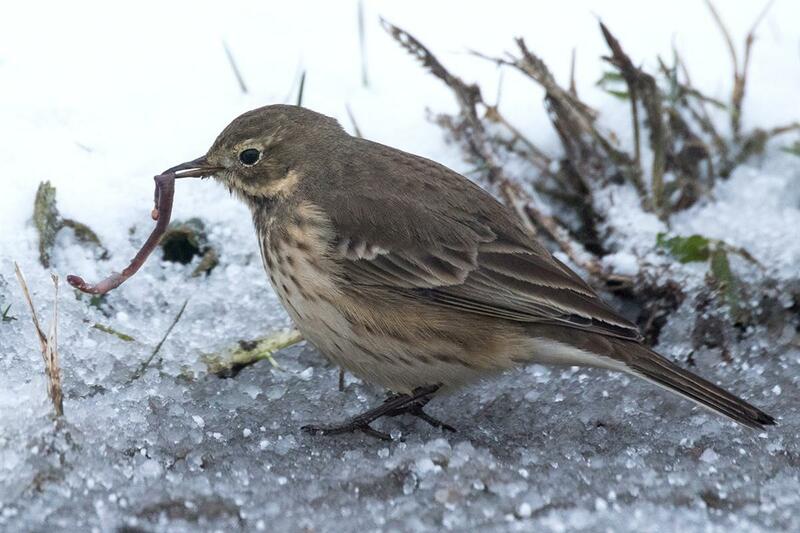 American Pipit handling a big worm in Chautauqua County. 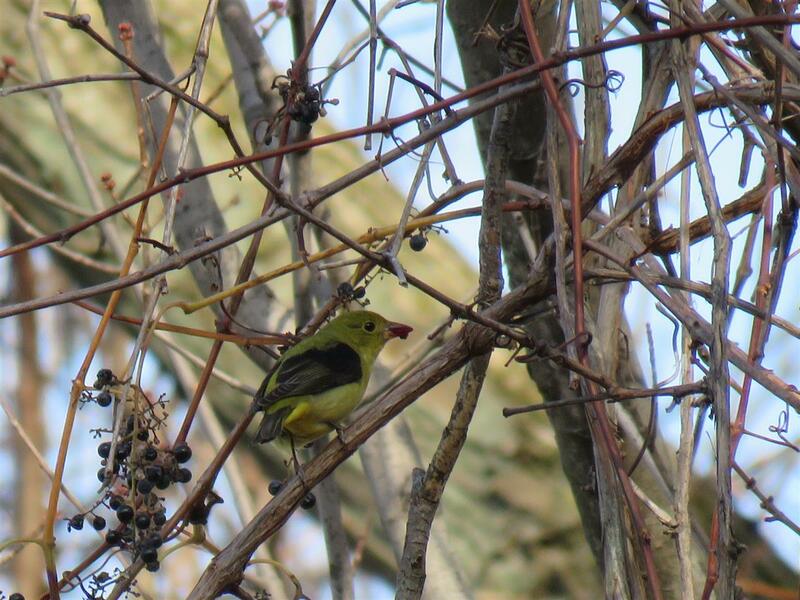 Male Scarlet Tanager at Buckhorn Island SP on November 18. Almost more likely to have a Western or Summer Tanager on this late date. Luckily the bird stayed in the same area long enough for me to run home and get my camera! 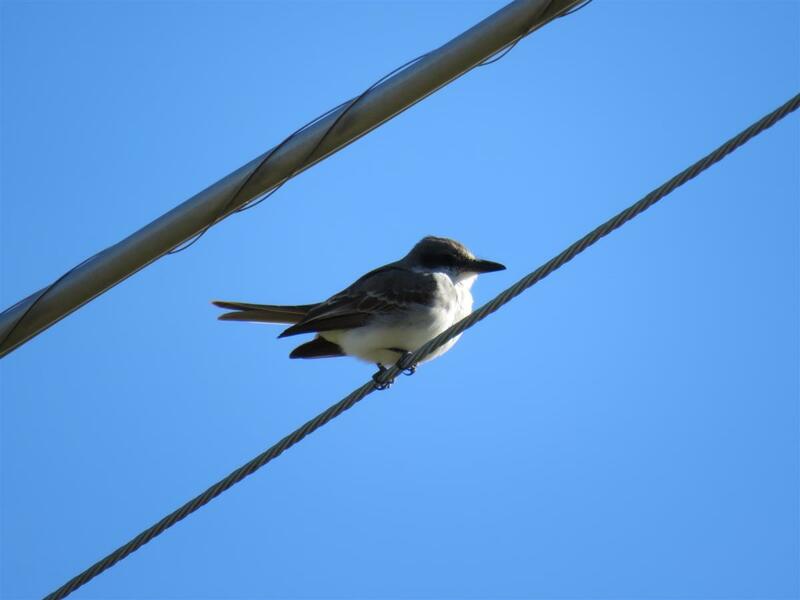 The Bergen, NY Gray Kingbird stayed for almost two weeks, this photo was taken on November 12. 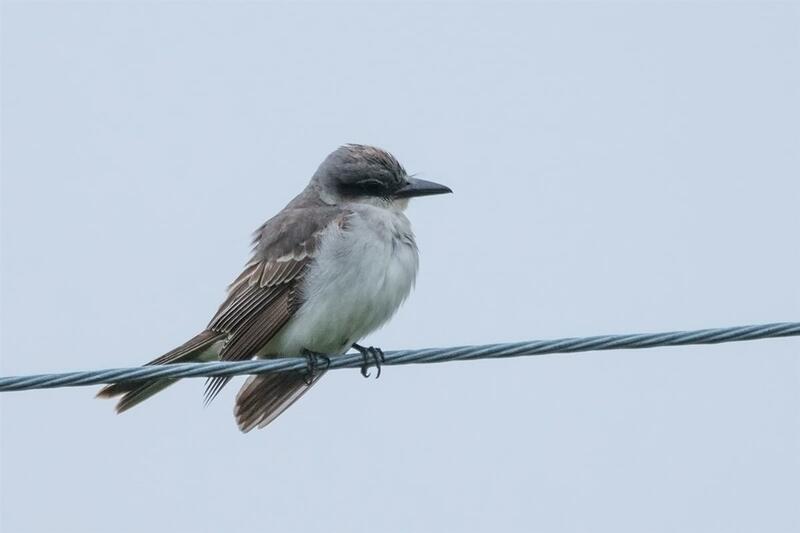 Gray Kingbird in Bergen, NY - found by Melissa Mance.